Compact, ultra lightweight design. Compatible with most popular brands of effect pedals and other 9V adapter-powered accessories. 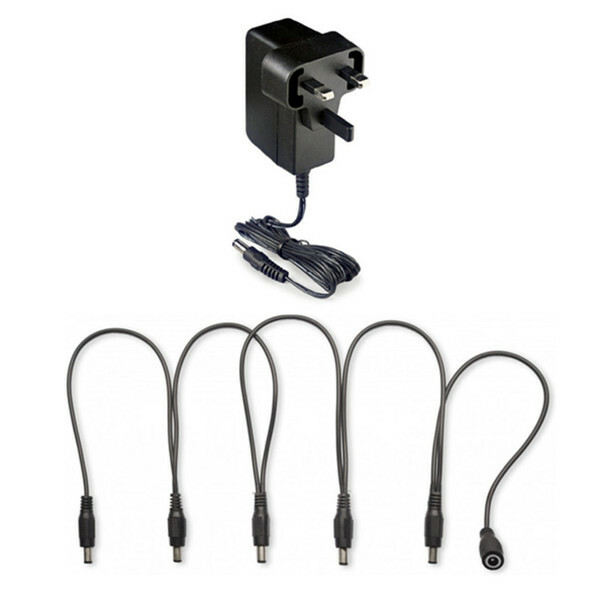 Bundled with a 5-Way power supply cable with 5 x 2.1mm DC plugs for powering up to 5 effect pedals. Linear power supply that will adapt automatically to any input voltage between 100V and 240V AC (+/- 10 ). Can power up to 8 effect pedals simultaneously if paired with Stagg SPS-DC5 multi-cable (available separately). Use the 5 snaked power adapter cables to connect up to 5 individual effects pedals.